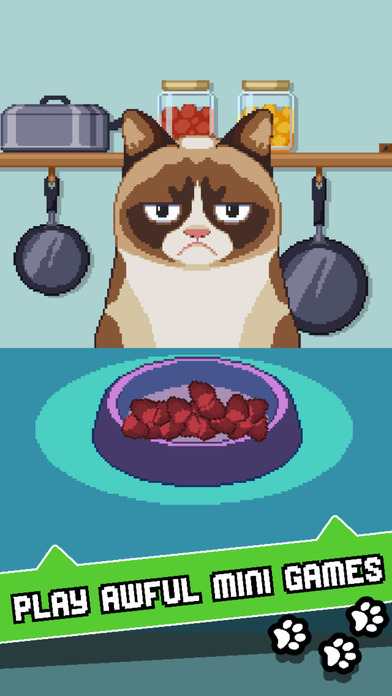 Features: Play awful mini games starring: Grumpy Cat . 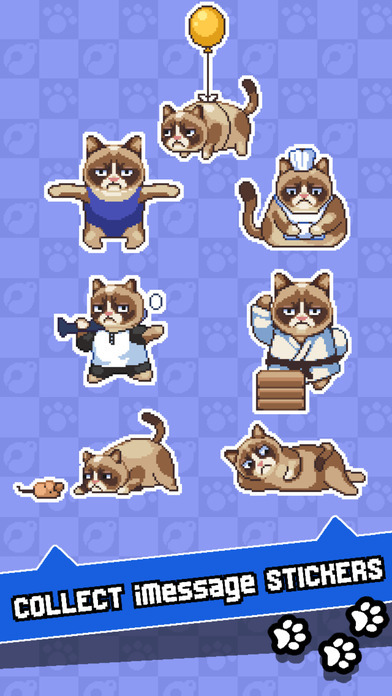 Unlock Grumpy Cat characters and use them as stickers in iMessage. 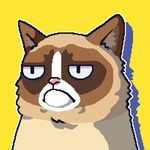 Share Grumpy Cat memes . 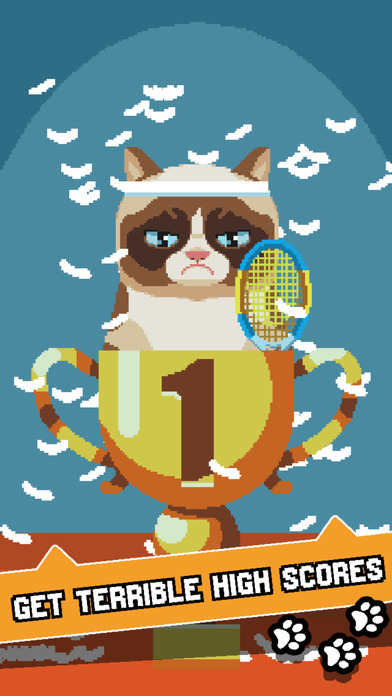 Get high scores and challenge your friends. Groovy chiptune music by Maxo. 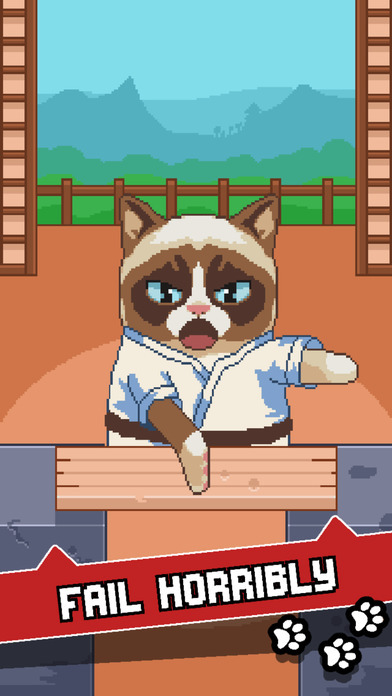 Grumpy Cats does a great job of presenting a series of fun, familiar, and accessible mini-games that are quite simple to learn, but incredibly difficult to master, as well as sporting nice old-school pixel art graphics with great sound. 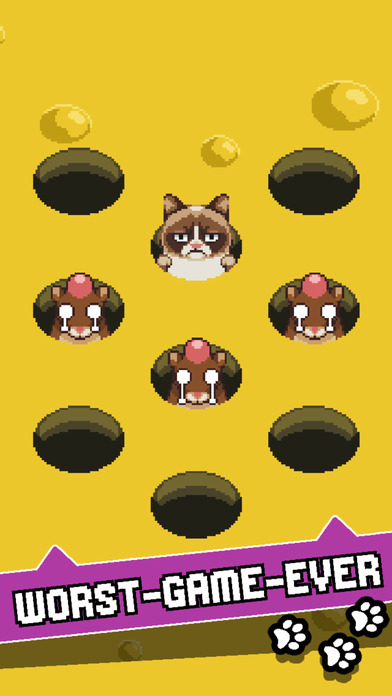 Unfortunately, coin progression is actually quite slow unless, of course, you spend real money, making this game depend too much on grinding to unlock new cats.